Omar Al Bashir, the president of Sudan, will survive the recent protests in his country. But in his political survival, Sudan also will see itself more tightly binding itself to Turkey and Qatar. The cause of the protests has been economics. The government withdrew subsidies on bread, and thereby caused a tripling of prices. This was done against a backdrop of already runaway inflation (prices rose 72 percent in December), government limits on bank withdrawals and a devalued Sudanese pound that caused shortages of fuel and medicine. The regime has responded to the protests with heavy handed tactics; thus far, at least 30 people have died according to official figures (rights group say up to 45) and more than 800 arrested. In a particularly egregious incident on January 10, security forces entered a hospital on the outskirts of Khartoum and fired live rounds and teargas at patients and hospital staff. The regime has also jailed politicians and journalists, blocked social media sites and canceled the visas of foreign journalists. In power since 1989, the 75-year-old Al Bashir has firmly rejected calls to resign. Instead, his government unveiled a budget at the start of this year that promised no further withdrawal of subsidies, an increase in salaries for public-sector workers and an expansion of health-care benefits. These measures failed to end the demonstrations, with political parties allied to Al Bashir’s National Congress Party (NCP) leaving the coalition and calling for the formation of an interim transitional council to manage the country. 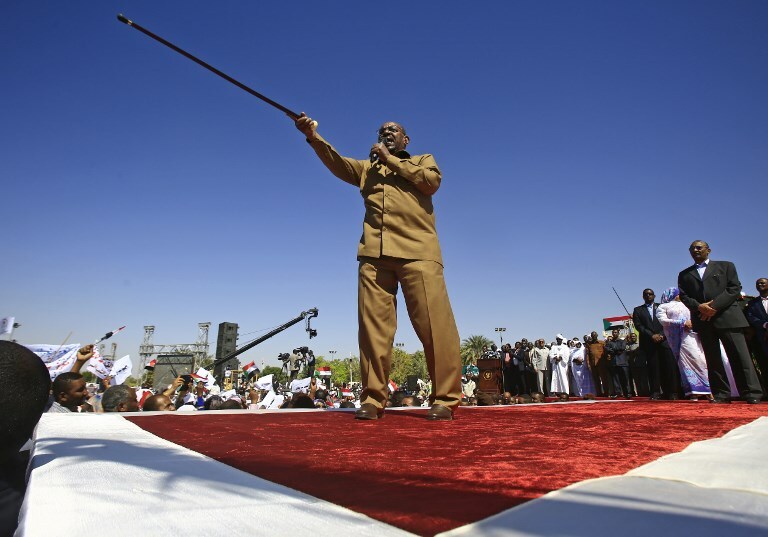 Nonetheless, Al Bashir retains the support of the Sudanese army and intelligence services, and eventually will likely quell protests through a series of further economic measures. But for this, he will need the help of friendly countries, whose support he has tried to cultivate, albeit perfidiously, since 2011. After South Sudan’s secession in 2011, which saw Sudan lose 70 percent of its revenues due to the loss of its southern oilfields, Al Bashir tried to rehabilitate Sudan internationally – more specifically, with America and with its regional allies. In 2016, for instance, Sudan severed ties with Iran, hitherto an ally of 25 years. It then sought better relations with Saudi Arabia by providing military support to the Saudi-led coalition against Houthi rebels in Yemen. In return, Saudi Arabia deposited $1 billion into Sudan’s central bank and promised new investments. The US partially lifted sanctions on Sudan in 2017, but has continued to include the country in its list of sponsors of terrorism. This has led to a growing perception among Sudan’s political class, sometimes even voiced openly in parliament, that the country has not reaped the expected level of economic benefits from its engagement with the US and its regional allies. Consequently, and true to his penchant for playing alliances against each other, Al Bashir has courted deeper economic and military engagement with Turkey and Qatar. The alliance between the three states has been in the works since early 2017, when Khartoum hosted a joint meeting of Turkish, Qatari and Sudanese defense ministers. In December 2017, Sudan and Turkey concluded an agreement for Ankara to lease Sudan’s Suakin port and station its naval vessels there, giving it yet another naval base in the Red Sea in addition to the one it already operates in Somalia. In March last year, Qatar signed a $4 billion agreement with Sudan to develop the Suakin port, suggesting an extension of the Qatari-Turkish alliance to the Red Sea. Qatar and Turkey have also announced sizeable investment plans in Sudan’s agriculture, infrastructure and defense sectors. Both countries have bought Sudanese agricultural land to ensure their food security. And in September, Turkey also concluded a $100 million oil exploration deal with Sudan. It is important to note that Qatar, Sudan and Turkey are ruled by regimes sympathetic to the Muslim Brotherhood. In Sudan’s case, the ruling NCP’s roots lie in the Sudanese branch of the Brotherhood. Indeed, the NCP’s manifesto espouses principles identical to that of the Brotherhood. Egypt has in recent years regularly accused Sudan of tacitly supporting and providing sanctuary to the Egyptian Muslim Brotherhood. It is instructive that Al Bashir’s trip to Qatar earlier this month was his first foreign trip since the outbreak of the protests. In its initial reaction to the demonstrations, Qatar promised to provide “all that is needed” to assist Khartoum overcome the crisis. On the other hand, the UAE-Saudi Arabia-Egypt alliance, formed in opposition to the Muslim Brotherhood, has been less than forthcoming in its support for Al Bashir’s regime, perhaps signaling irritation with his double-dealing and as a way of pressuring him to change course. It seems more likely, however, that the ongoing protests will further catalyze Sudan’s entry into the Qatar-Turkey alliance, since that process has been underway long before the start of the demonstrations. It also suits the political proclivities of Al Bashir’s regime. The ramifications of this for the region need to understood. As a country of 40 million on the Red Sea and which connects the Middle East to the Horn of Africa and beyond, Sudan’s geopolitical trajectory is far too important to overlook.